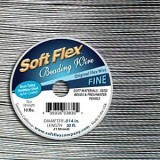 Ideal for soft materials, seed beads and freshwater pearls.Brand: Soft FlexColour: Satin SilverDescr.. 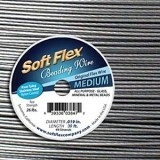 Ideal for all purpose wire. Great with glass, mineral and metal beads.Brand: Soft FlexColour: Satin ..